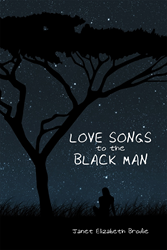 Recent release “Love Songs to the Black Man” from Page Publishing author Janet Elizabeth Brodie is a commanding yet beautiful tribute to the struggles, the victories, and the ordinary day-to-day of being a black person in America. Janet Elizabeth Brodie, a speech pathologist who serves children in Philadelphia, Pennsylvania, has completed her new book “Love Songs to the Black Man”: a passionate ode to lives that black men and women lead in America. Brodie’s eloquent poetry finds its inspiration in her own experience as an African American woman. Having spent her life helping others to communicate effectively gave her the realization that she, too, had a voice which she could express through a more complicated device. Published by New York City-based Page Publishing, Janet Elizabeth Brodie’s powerful collection of poems emphasizes the need for positive images of black people in a country where negative connotations are often associated with blackness. The entire gamut of emotion and life experience is analyzed here in intricate, yet forceful verse. Each poem proclaims the magnitude of the importance of honoring humanity, whether celebrating the triumphs or mourning the losses and injustices. Readers who wish to experience this inspiring work can purchase “Love Songs to the Black Man” at bookstores everywhere, or online at the Apple iTunes store, Amazon, Google Play or Barnes and Noble.